As OneSignal rapidly approaches 50,000 developers using our service, we're excited to announce several new updates and features. OneSignal now supports adding test devices through the "All Users" panel. 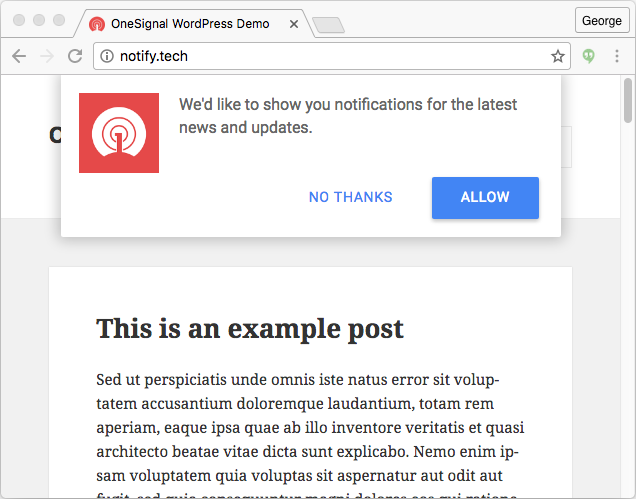 Once you have added a test device, you can send notifications directly to one or more test devices from the OneSignal dashboard. You can now set a custom background for your notifications. You can follow our guide here to learn how to set your own background image. Our SDK will now better detect error cases where a device is missing Google Play Services. Notifications are now restored to the Notification Shade when they were cleared by Android itself. Previously, notifications could have been cleared due to a package upgrade, device reboot, or each time the app was cold started (to restore from the 'force stopped' state). We also added the clearOneSignalNotifications and cancelNotification methods, which can be used if you need to programmatically dismiss notifications so they are not restored. For more information on how this works, please read our documentation here. 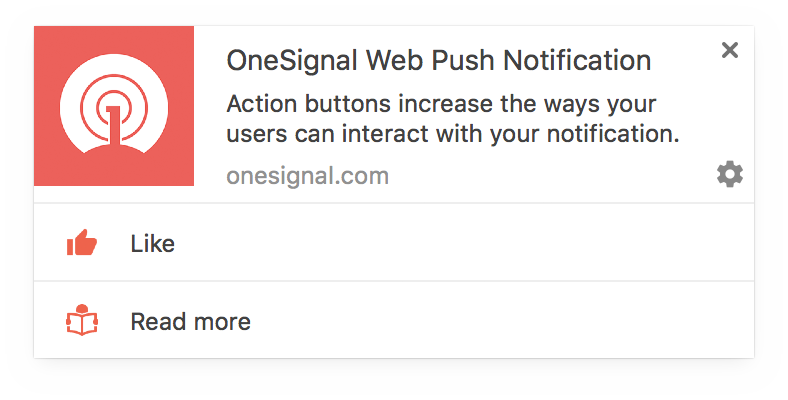 OneSignal now supports Action Buttons for Chrome Web Push notifications. Firefox support will be coming soon. You can learn more about how to use them here. As always, thanks for your continued support and please feel free to get in touch with our team any time at [contact@onesignal.com](mailto:contact@onesignal.com).